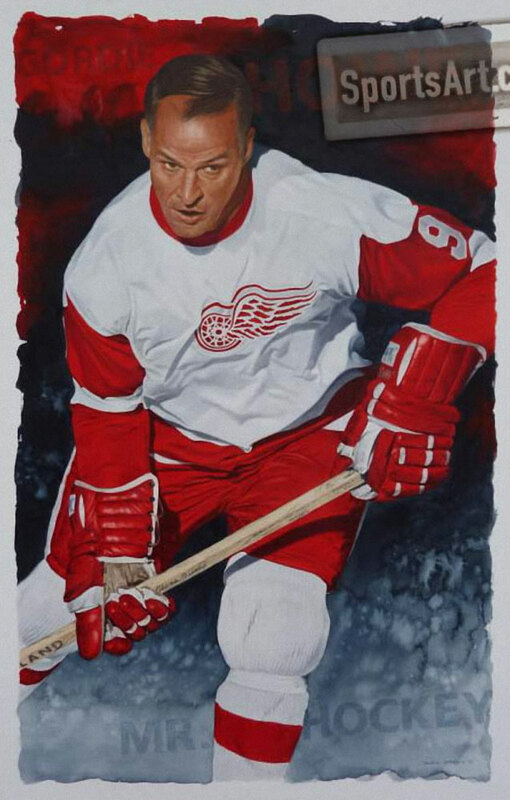 In this work, watercolorist Glen Green has honoured the Detroit Red Wing’s legend Gordie Howe. 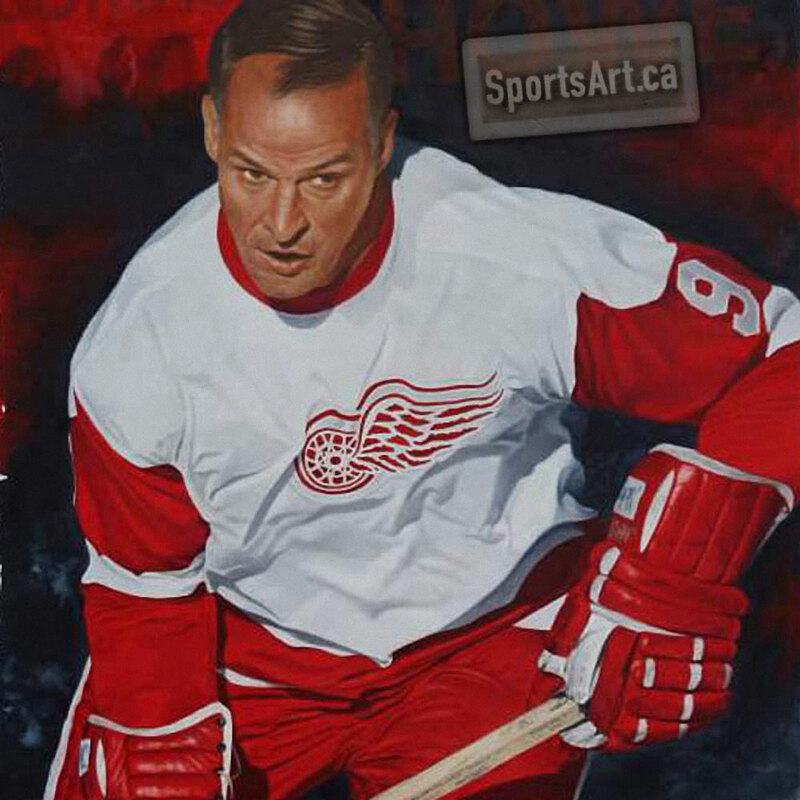 Incredibly, “Mister Hockey” competed in the NHL in five decades (1940s-1980s). Howe won the NHL’s MVP award and scoring title six times each. Original Watercolour – 17.5×28'", Limited Edition Print 17.5×28"